North Ormesby Cemetery is immediately adjacent to south side of North Ormesby St Joseph's RC Cemetery that is situated at the corner of the Trunk Road, A1085, and Ormesby Road at the opposite corner of what used to be the White House Garage [there is street parking nearby]. There is no wall now between the two cemeteries. 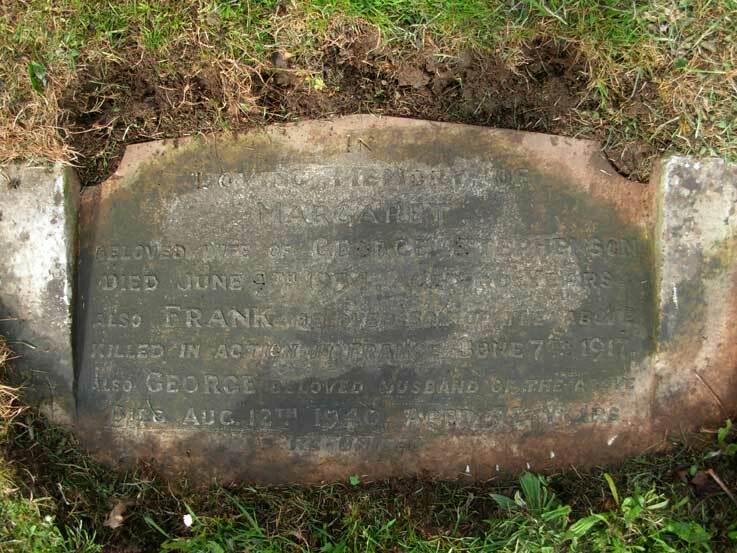 Ray Wilkins (<e2ray3636@ntlworld.com>) has produced a report into the graves in North Ormesby's combined cemeteries, and anybody interested in locating a War Grave in this cemetery is recommended to read this report. The report can be obtained by selecting the link below. In addition, Ray has produced a map of all the War Graves in the combined North Ormesby cemeteries, where the position of a grave can be located against a man's name. To select this map, select the link below. 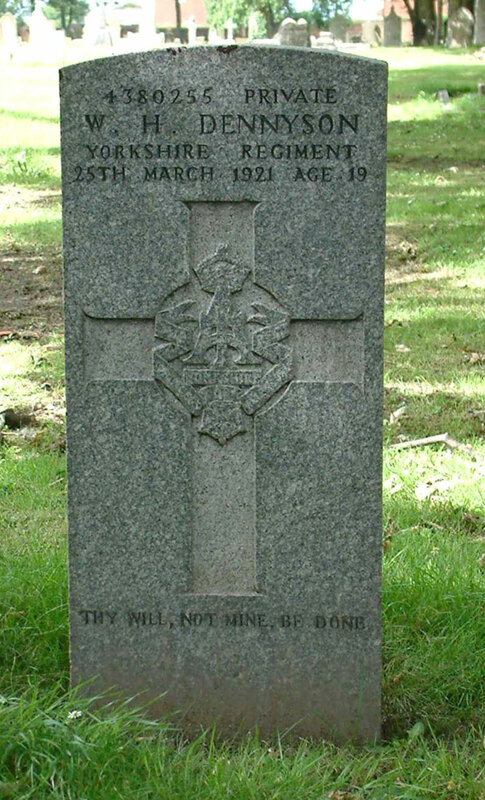 There are 10 Commonwealth War Graves belonging to men of the Yorkshire Regiment in Middlesbrough's North Ormesby Cemetery. Details of those buried are below. There are also several monumental inscriptions, for soldiers remembered on the memorials or headstones of their families. Select the link below to see these memorials or headstones. Ray Wilkins (<e2ray3636@ntlworld.com>) has photographed these headstones which commemorate soldiers of the Yorkshire Regiment. 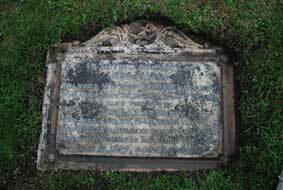 Ray Wilkins (<e2ray3636@ntlworld.com>) has additionally photographed a derelict family headstone that is a memorial to Lance Serjeant Charles Edward Bendelow, Lance Corporal James Rymer and Serjeant Robert Rymer. The connection between these three men is that Charles Bendelow was married to Eliza Bendelow (nee Rymer); the other two men were Eliza's brothers. Thus Eliza will have lost not only a husband, but her two brothers as a consequence of the War. A real tragedy. Photographs of the graves have been taken by Stan Grosvenor (<csstan@mametz.fsnet.co.uk>), Ray Wilkins (<e2ray3636@ntlworld.com>) and Sandra Gallacher (<sgallacher16@virginmedia.com>). For a larger sized image of a grave, where available, simply select the thumbnail for a larger sized photo to open in a new window. Click anywhere in the window that opens to close it. 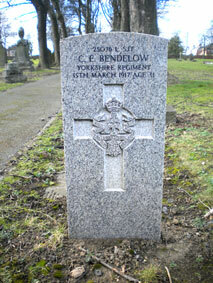 Lance Serjeant Charles Edward Bendelow. 25076. 14th Battalion Yorkshire Regiment. 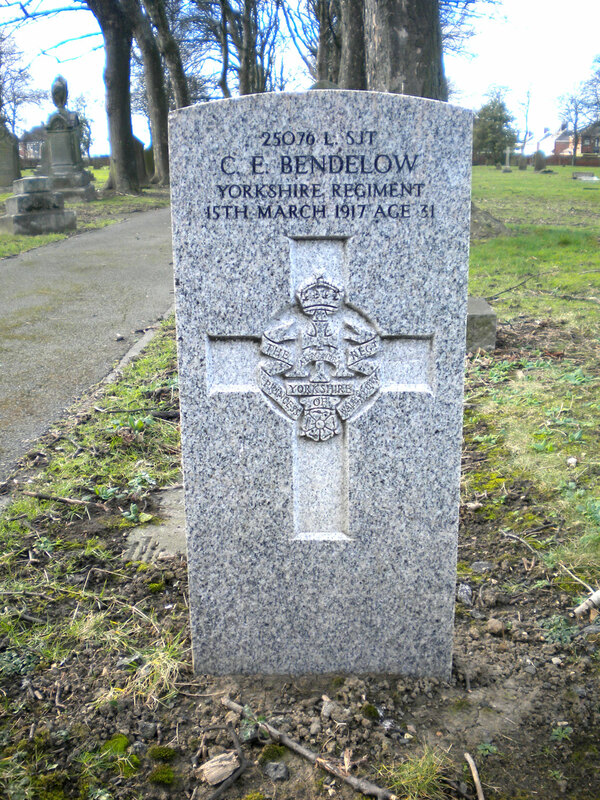 Son of Thomas Bendelow, and the late Jane Bendelow; husband of Eliza Pattison (formerly Bendelow), of 8, James St., North Ormesby. Died 15 March 1917. Aged 31. Photo by Sandra Gallacher (<sgallacher16@virginmedia.com>). 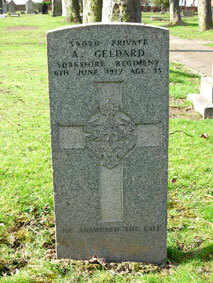 Lance Corporal Alfred Richard Clarken. 2749. 4th Battalion Yorkshire Regiment. 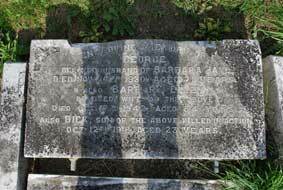 Husband of Annie Clarken, of 29, Church St., Marske-by-Sea, Yorkshire. Died at home 30 August 1915. Aged 48. 2nd Garrison Battalion Yorkshire Regiment. 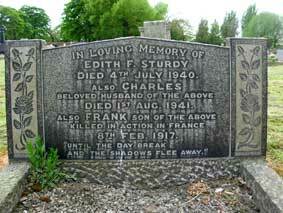 Died 10 July 1918. Aged 35. Born North Ormesby, Enlisted Middlesbrough. Private W H Dennyson. 4380255. 2nd Battalion Yorkshire Regiment. Son of Ralph and Emily Dennyson, of 5, Church St., North Ormesby. Died 25 March 1921. Aged 19. (Note : If Private Dennyson had been wounded in the 1914 - 18 War, and subsequently died as a result of his injuries, this means that he would have been a "Boy Soldier" in the War. He would certainly have been under-age in the War). 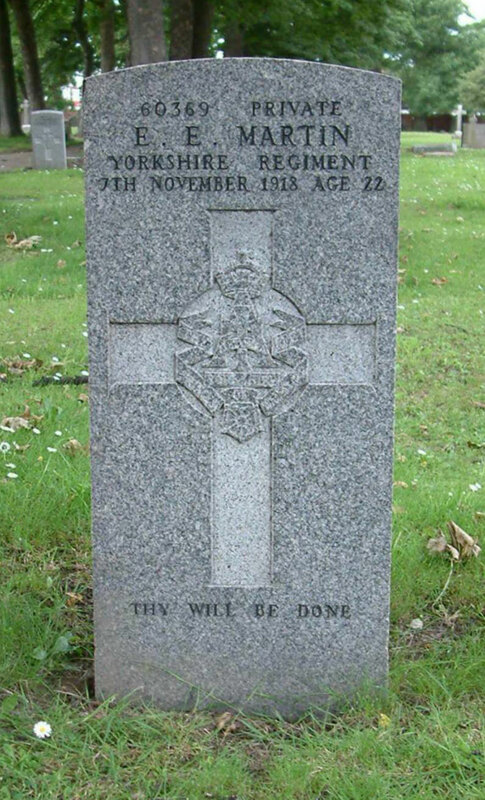 "THY WILL, NOT MINE, BE DONE"
7th Battalion Yorkshire Regiment. 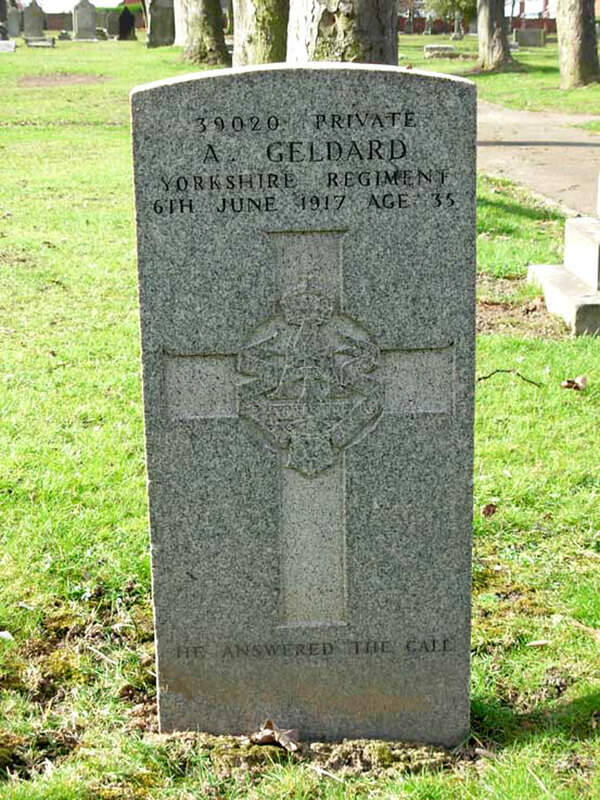 Son of the late John and Mary Geldard. 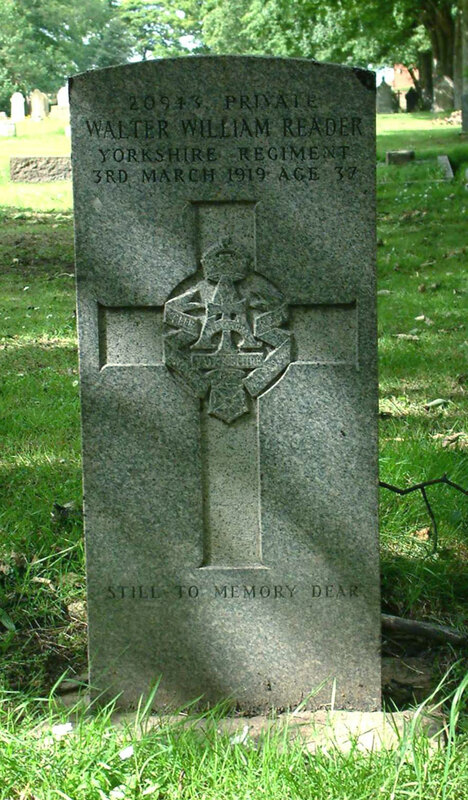 Died 6 June 1917. Aged 35. Born Middlesbrough, Enlisted Middlesbrough, Resided North Ormesby. Lance Serjeant Albert Edward Graham. 13399. 8th Battalion Yorkshire Regiment. Died 27 October 1916. 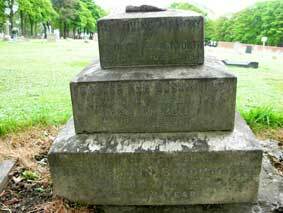 IN LOVING MEMORY OF MATTHEW, THE BELOVED HUSBAND OF SUSANNAH GRAHAM WHO DIED NOV 3rd 1910 AGED 43 YEARS. 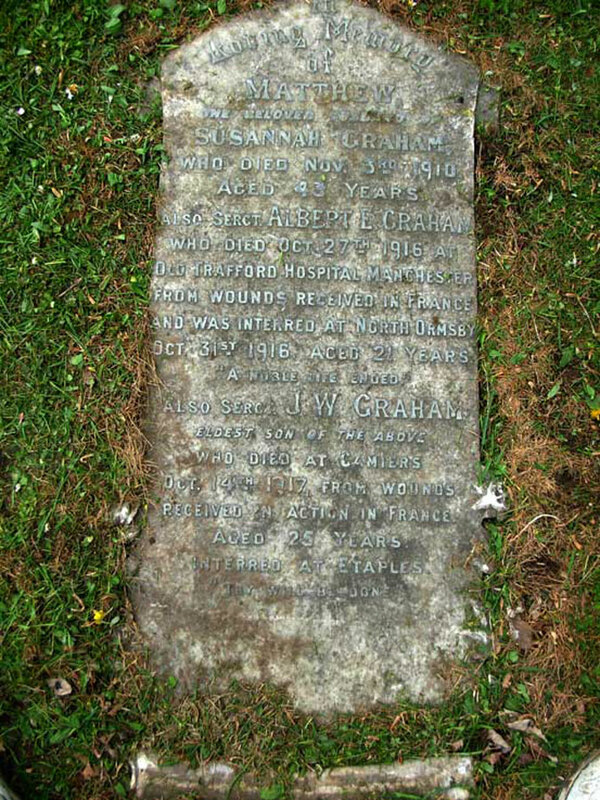 ALSO SERGT ALBERT E GRAHAM WHO DIED OCT 27th 1916 AT OLD TRAFFORD HOSPITAL MANCHESTER FROM WOUNDS RECEIVED IN FRANCE AND WAS INTERRED AT NORTH ORMESBY OCT 31st 1916 AGED 21 YEARS. ALSO SERGT J W GRAHAM, ELDEST SON OF THE ABOVE, WHO DIED AT CAMEIRS OCT. 14th 1917 FROM WOUNDS RECEIVED IN ACTION IN FRANCE AGED 25 YEARS. INTERRED AT ETAPLES. Private Ernest Edward Martin. 60269. 9th Battalion Yorkshire Regiment. Son of Mr. J. T. and Mrs. M. A. Martin, of 36, Stovin St., North Ormesby. Died 7 November 1918. Aged 22. Private William A Osborne. 203848. 8th Battalion Yorkshire Regiment. 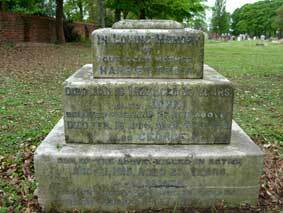 Son of W. A. and Sarah Osborne, of North Ormesby. Died 12 April 1921. Aged 25. 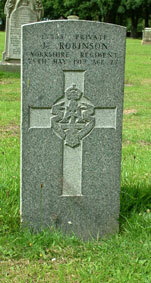 WILLIAM OSBORNE LATE 203848 8th YORKS REGT DIED APRIL 12 1921 AGED 25 YEARS. ROWLY AGED 3 YEARS. LILY AGED 11 YEARS. Private Walter William Reader. 20943. 12th Battalion Yorkshire Regiment. 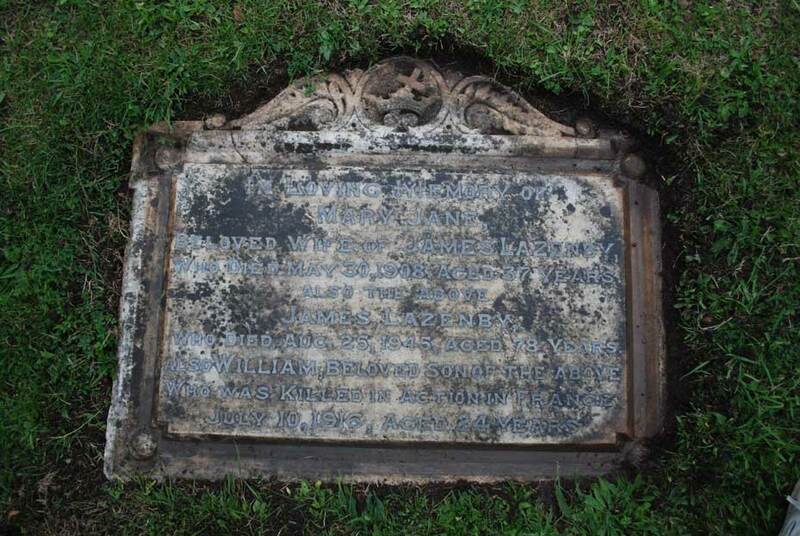 Son of Robert and Sarah Ann Reader; husband of Jane Ann Jefferson (formerly Reader), of 100, Stephenson St., North Ormesby. Died 3 March 1919. Aged 37. Yorkshire Regiment (Depot), - formerly served in the 9th Battalion the Yorkshire Regiment. 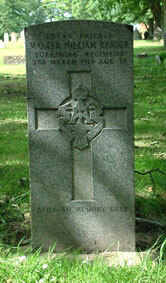 Died 25 May 1917. Aged 27. To view larger photo of the headstones, click on the thumbnail images. Private Charles William Bosomworth. 27301. 2nd Battalion Yorkshire Regiment. 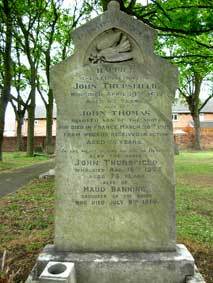 Son of George and Frances Bosomworth, of 10, Thomas St., North Ormesby, Middlesbrough, Yorks. 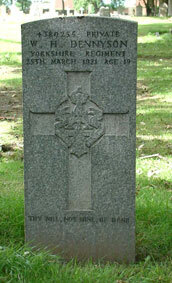 Died 24 April 1917. Aged 21. Born Skelton, Enlisted Middlesbrough, Resided North Ormesby. 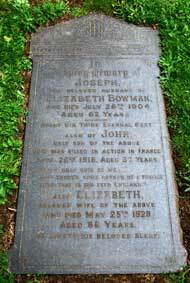 Private John Bowman. 7606. 10th Battalion Yorkshire Regiment. Son of Joseph and Elizabeth Bowman. A Reservist. Returned from South America, Aug., 1915. Died 20 September 1916. Aged 32. 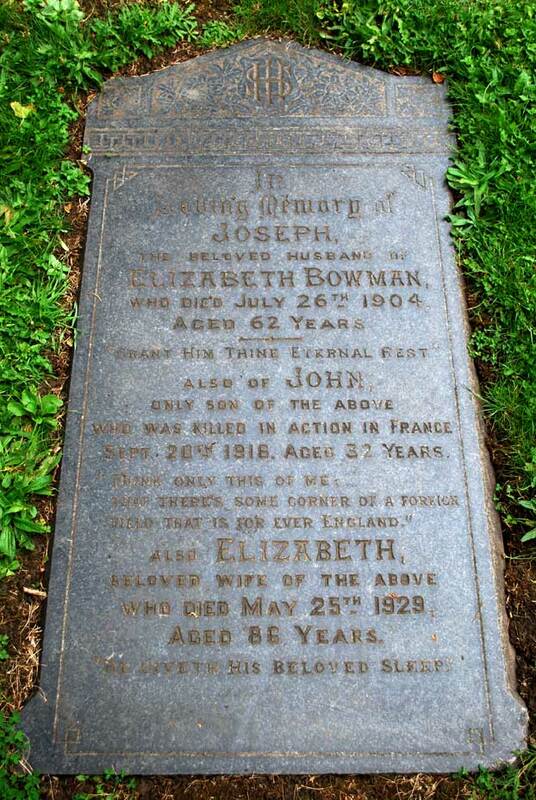 ELIZABETH BOWMAN, WHO DIED JULY 26TH 1904 AGED 62 YEARS. 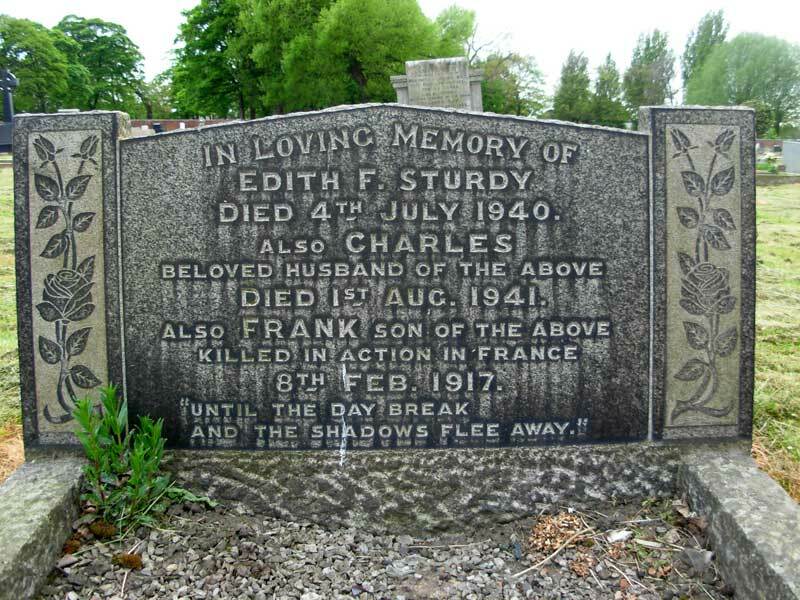 "GRANT HIM THINE ETERNAL REST"
WHO WAS KILLED IN ACTION IN FRANCE SEPT 20TH 1916. AGED 32 YEARS. FOREIGN FIELD THAT IS FOREVER ENGLAND." 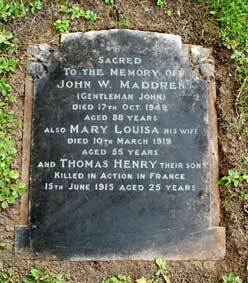 WHO DIED MAY 25TH 1929 AGED 86 YEARS. DIED NOVEMBER 1ST 1959 AGED 77 YEARS. 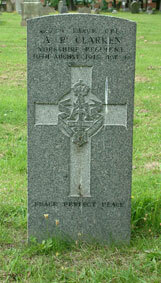 Private George Gilbert Frost. 17068. 6th Battalion Yorkshire Regiment. 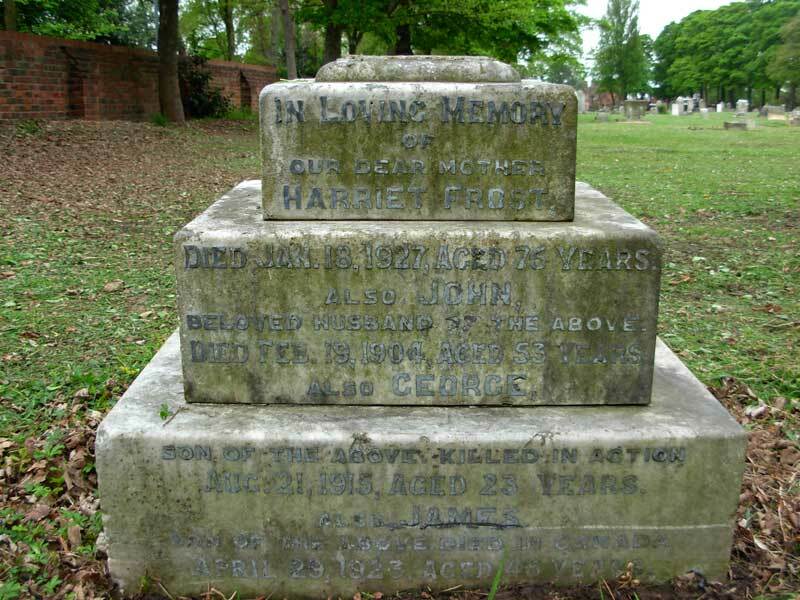 Son of Harriet Frost, of 26, Abingdon Rd., Middlesbrough. Died 21 August 1915. Aged 23. IN LOVING MEMORY OF OUR DEAR MOTHER HARRIET FROST. 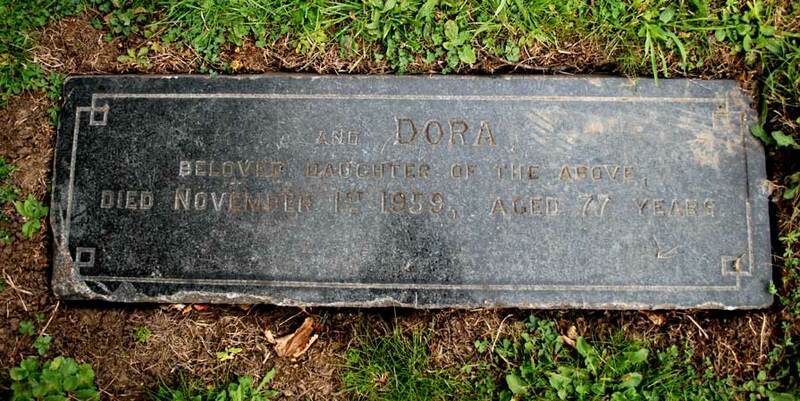 SON OF THE ABOVE DIED IN CANADA APRIL 29 1923 AGED 46 YEARS. Private John Richard Hall. 24513. 9th Battalion Duke of Wellington's (West Riding) Regiment. 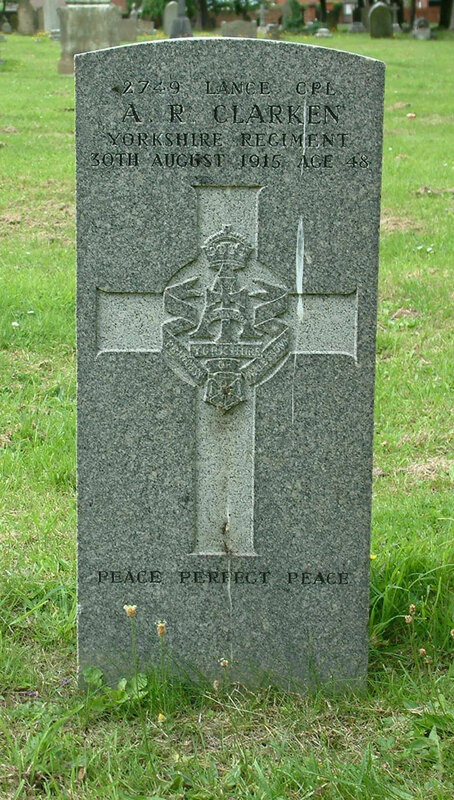 Formerly 30805 Yorkshire Regiment. Son of George and Barbara Ellen Hall, of 9, Ryedale St., North Ormesby, Middlesbrough. Died 12 October 1918. Aged 22. Buried MONTAY-NEUVILLY ROAD CEMETERY, MONTAY. OCT 12TH 1918 AGED 23 YEARS. Corporal William Lazenby. 12257. 9th Battalion Yorkshire Regiment. Son of James and the late Mary Jane Lazenby. Died 10 July 1916. Aged 24. Born North Ormesby (Middlesbrough), Enlisted Middlesbrough, Resided North Ormesby. Buried GORDON DUMP CEMETERY, OVILLERS-LA BOISSELLE. 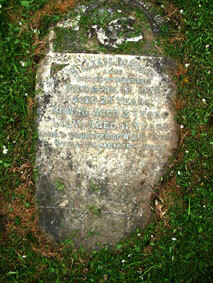 DIED MAY 30 1908 AGED 37 YEARS. ALSO THE ABOVE JAMES LAZENBY DIED AUG 25 1945 AGED 78 YEARS. 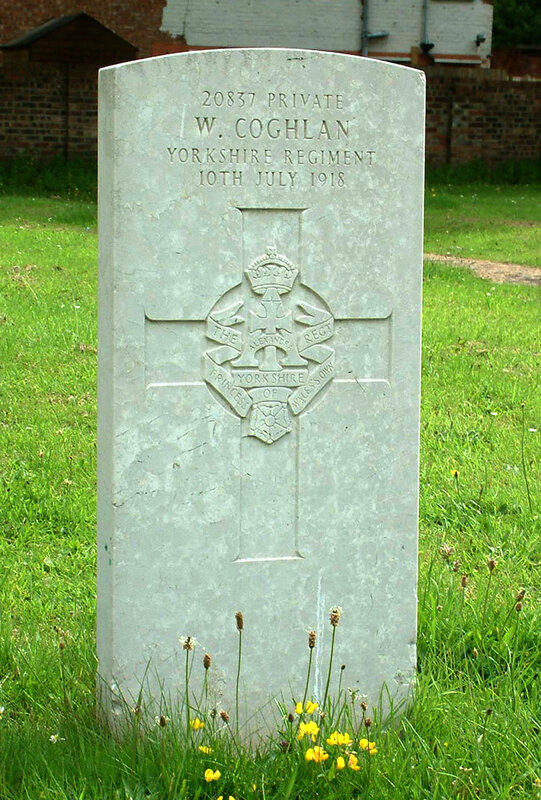 JULY 10 1916 AGED 24 YEARS. Private Thomas Henry Maddren. 3/7096. 2nd Battalion Yorkshire Regiment. Died 15 June 1915. Commemorated Panel 12, Le Touret Memorial. DIED 17TH OCT 1949 AGED 88 YEARS. KILLED IN ACTION IN FRANCE 15TH JUNE 1915 AGED 25 YEARS. 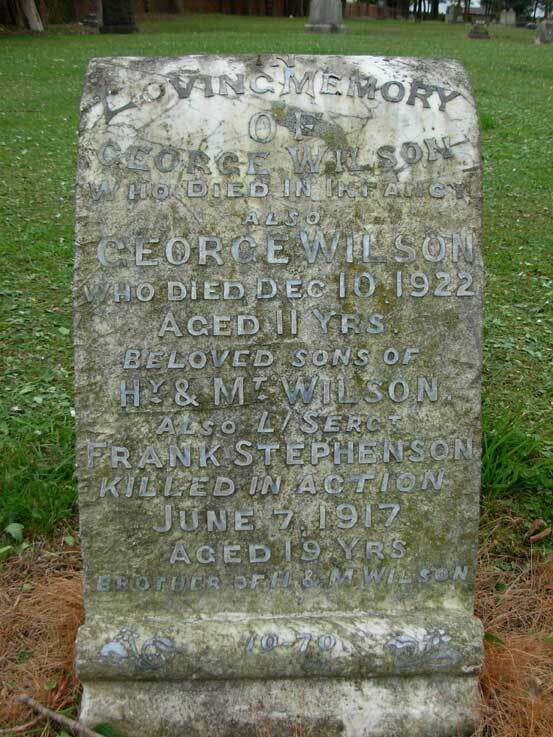 A headstone for the Wilson family and a headstone for the Stephenson family both commemorate Lance Serjeant Frank Stephenson, - with there obviously being a connection between the two families. Lance Serjeant Frank Stephenson. 12122. 9th Battalion Yorkshire Regiment. Son of George and Margaret Stephenson, of 69, Cambridge Rd., Cargo Fleet, Middlesbrough. 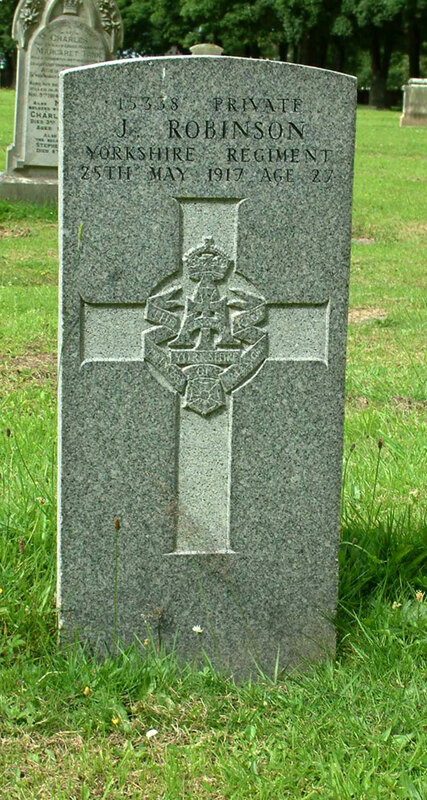 Died 8 June 1917. Aged 20. Born Middlesbrough, Enlisted Middlesbrough, Resided Cargo Fleet. Lance Corporal Frank Sturdy. 36032. 7th Battalion Yorkshire Regiment. Died 8 February 1917. 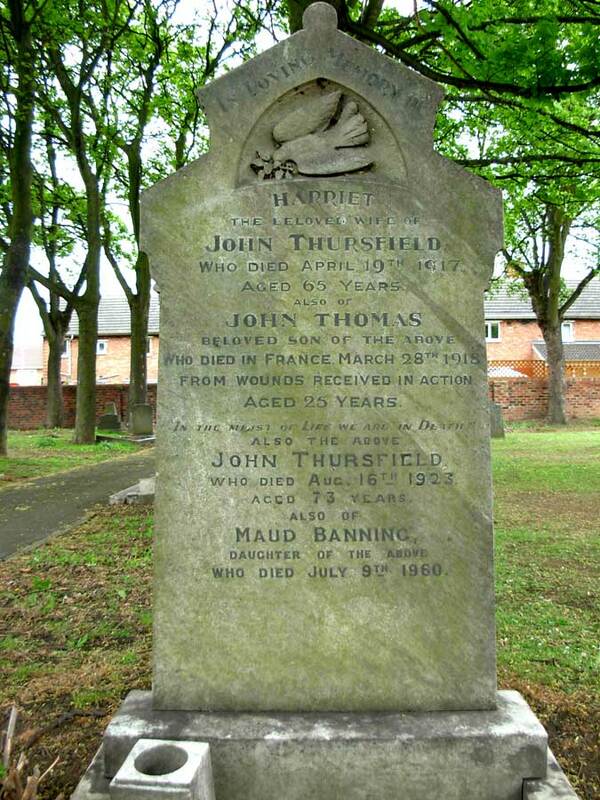 Private Thomas Thursfield. 20774. 5th Battalion Yorkshire Regiment. 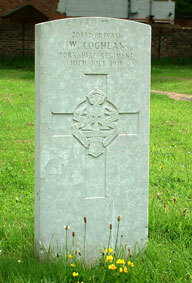 Died 28 March 1918.
WHO DIED JULY 9TH 1960. 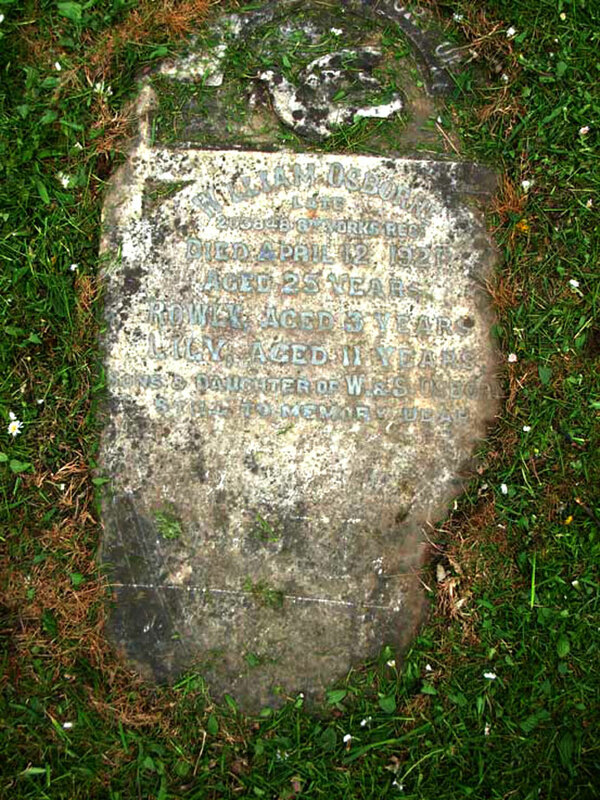 This headstone commemorates members of the Easby Family as well as George Wray. George was the son of Mary Easby. "George Wray was born in Grangetown but grew up in Coatham, Redcar. 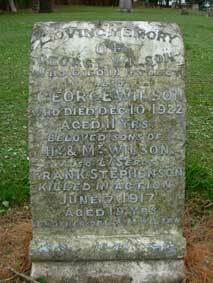 George was the son of Robert Wray and Mary Anne Wray nee Wilson George's father, Robert was killed in Warrenby ironworks on 14 June 1891. 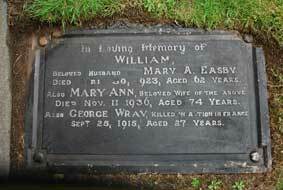 George's widowed mother, Mary, remarried William Easby in 1902. 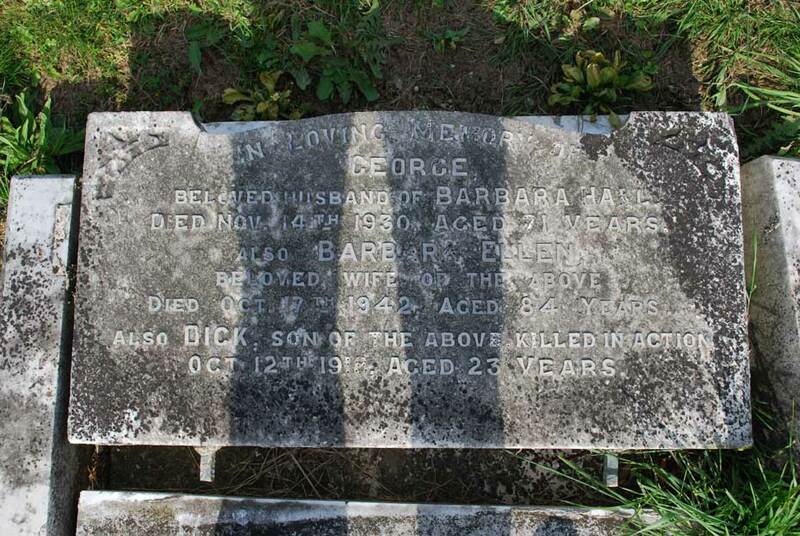 George had two brothers Thomas William, and Charles, as well as a younger sister Eliza"
Private George Wray. 3/6583. 2nd Battalion Yorkshire Regiment. Son of Mrs. Mary Ann Easby, of 12, Pierson St., North Ormesby, Middlesbrough. Died 25 September 1915. Aged 27. Commemorated Panel 44 and 45, Loos Memorial. For a larger sized image which opens in a new window, select the thumbnail on the left. 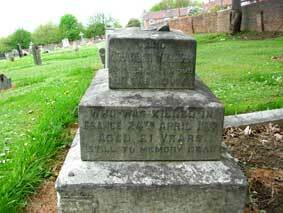 DIED IN WALKERGATE CITY HOSPITAL 15TH MARCH 1917 AGED 31 YEARS. Walkergate City Hospital was in Newcastle and was used in the First World War for the treatment of wounded soldiers. Lance Corporal James Rymer. 12116. 8th Battalion Yorkshire Regiment. Son of Alice Rymer, of 7, James St., North Ormesby, Middlesbrough, and the late William Rymer. Killed 10 July 1916. Aged 20. 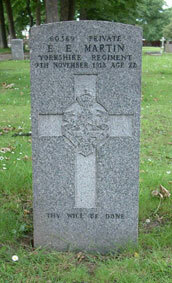 Born North Ormesby (Yorks), Enlisted Middlesbrough. Serjeant Robert Rymer, MM. 23498. 50th Battalion Machine Gun Corps (Infantry), formerly 1800 Yorkshire Regiment. 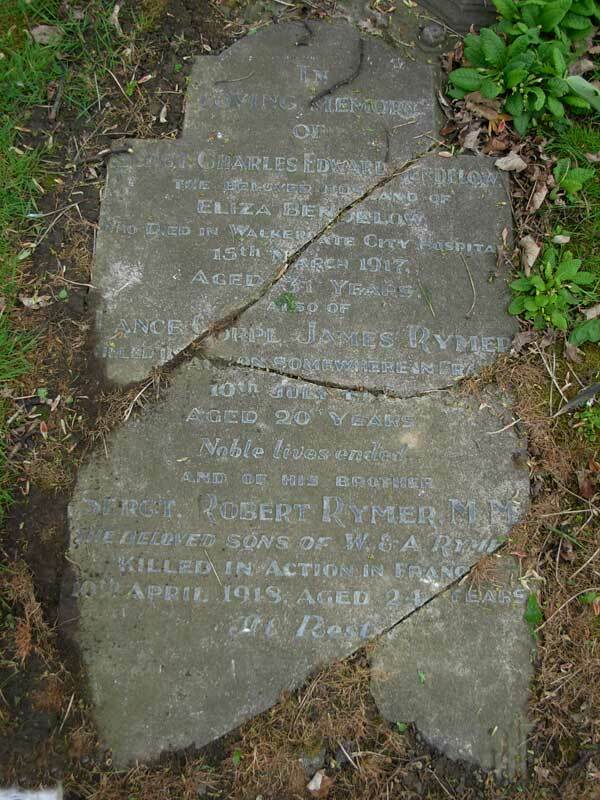 Son of Alice Rymer, of 7, James St., North Ormesby, Middlesbrough, and the late William Rymer. Killed 10 April 1918. Aged 24. Born West Hartlepool, Enlisted Middlesbrough, Resided North Ormesby.